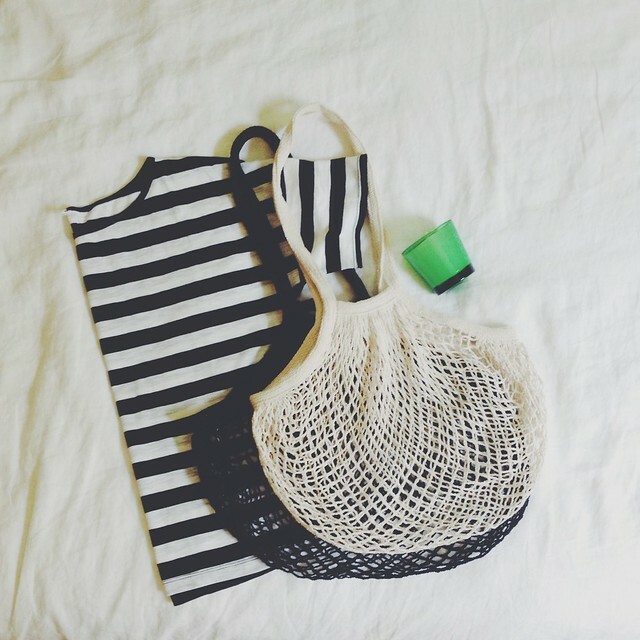 Why am I kind of obsessed with net bags? Is that what you even call them? Every time we've gone into Pearl River Mart over the past year I seem to be drawn to them, and they are only $4.50, so this time, I got two! Granted not the most practical bag for small things, but very lightweight and good for groceries. It might be fun to wrap veg tan leather around the handles too.